Since 2000, the liberal insult de jour has been to malign President Bush’s intelligence. It all fits in with the nasty stereotype they like to perpetuate that liberals are smarter and better educated, and that red staters are NASCAR watching, beer swilling, bible hypnotized yahoos. Just today I saw a bumper sticker that read "maybe liberal just means better educated." Quaint. 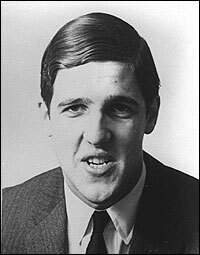 Today, the Boston Globe has an article which shows that newly released Navy records have John Forbes Kerry in a virtual academic dead heat with the president while both were at Yale. I know that intelligence manifests itself in different ways, but that cuts both ways. Regardless, four D’s is weak. So much for that bumper sticker.